If you have a property with a swimming pool, you might be asking what is pool automation? Pool automation allows you to automatically maintain your pool. In other words, you don’t have to hire anyone to maintain your pool. All you have to do is sit back, relax and watch your pool take full control. The good thing about pool automation is that it is not reserved only for the tech-savvy. Even if you still write letters and send them via mail, you can rip the many benefits of automating your swimming pool. Just think how great it will be to maintain your swimming pool via remote control while you are far away from home. For example, you might find yourself driving home from work during a chilly summer evening. On your way home, you are fantasizing how you will relax in warm water as you unwind the night. The best thing about this fantasy is that you don’t have to reach home to turn on the pump so that pool water is circulating. In addition, you don’t have to wait for the heater to finish warming your pool water. With the touch of a button, all the above functions will be done while you are miles away. Before you arrive home, your pool will be ready. Pool automation is simply the maintenance of a swimming pool via remote control. In other words, pool automation involves the active maintenance and control of a swimming pool’s sanitizer and pH levels. 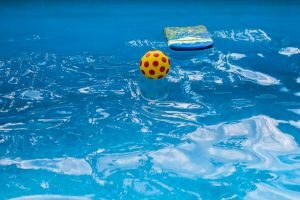 Remember all the pool maintenance work such as balancing the water and adding chemicals, including running the filter and scrubbing the swimming pool walls? Pool automation lets you do all that via a remote control no matter where you are. Today, pool automation is the standard for all commercial pools but is gaining popularity in residential homes as well. Not everyone enjoys vacuuming and scrubbing their swimming pool. It is true that doing these tasks helps maintain the cleanliness of a swimming pool. However, it can be a tedious and time-consuming process. If you don’t like the manual labor that comes with vacuuming and scrubbing the pool floor, you can turn to automatic pool cleaners instead. Automatic pool cleaners refer to vacuums that do the vacuuming for you. These cleaners also have brushes for scrubbing pool surfaces. Keeping your pool water clean and warm is only one part of the job. You need to ensure it is sanitized as well. That is where chlorine generators come in handy. Chlorine generators eliminate the need for using a test kit to determine how much chlorine you should add daily and instead does all that for you. Automatic Timers makes it easier to keep your pool water warm and maintain good circulation. They usually connect to the swimming pool system, which allows you to automatically trigger the pool heater and pump depending on temperature and time limit. Automatic Timers helps to keep your pool water clean and in good condition to swim. Pool and Spa Control Systems allows you to manage everything from heating and filtration cycles to lighting and sanitization. With a press of a button, you will be able to perform the above functions. Pool automation simplifies all the labor that comes with pool maintenance. This technology helps keep your swimming pool clean even when you are miles away. The benefit of this is that you will always have a swim-ready pool all the time.